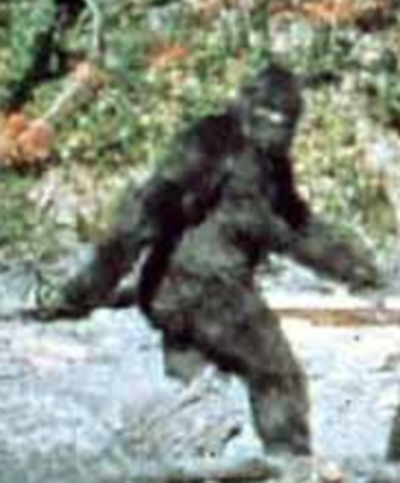 The Patterson-Gimlin Film is a short video showing a bipedal creature said to be Bigfoot. The video was taken on October 20, 1967 on Bluff Creek, CA by Roger Patterson, accompanied by Bob Gimlin. The authenticity of the film is highly debated and to this day cannot be explained nearly 50 years later. Supporters of this film say it is the best evidence we have of Bigfoot, and are convinced it cannot be hoaxed. Others say it is just a man in a costume. The film was shot on a rented Cine-Kodak K-100 16mm camera. 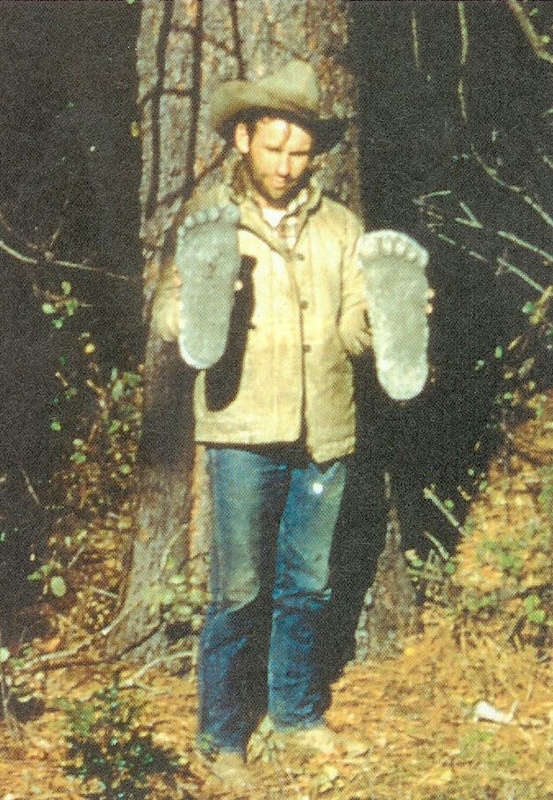 Roger Patterson first became interested in Bigfoot in December 1959 after reading an article in a magazine. In 1966 he self published his own book Do Abominable Snowmen of America Really Exist?. He was in the middle of filming a movie about Bigfoot when the Patterson-Gimlin Film was shot. Patterson died only years later, in 1972, of cancer. Interviews with people that knew Patterson generally do not describe him well. He is often referred to as a liar, and a conman. There are even reports that claimed he never paid back loans given to shoot his movie, as well as keeping the rented camera longer than the contract agreement. Bob Gimlin is the only known surviving witness to the encounter that day. Prior to this, Gimlin did not believe these creatures existed. Gimlin avoided publicly speaking about the subject for over 30 years, when he in 2003 he started making appearances for interviews and Bigfoot conferences. 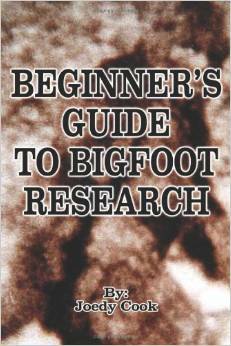 He has always insisted that the film contains a genuine Bigfoot and denies any part as a hoax. He is often described as an honest, nice man. It is often said that the walk in the film is called a compliant gate, and that humans don't walk like that. This basically means that the creature doesn't lock it's knees during a step. Skeptics suggest that this is due to the costume having floppy feet that are hard to walk in. When the creature turns it's head in the film, it also turns it whole body. Supporters say that humans would only turn their neck, and that turning of the whole body is found more in great apes. Skeptics say this is caused from wearing shoulder pads, making it hard to turn just the neck to look back. The creature has been shown to have visible breasts, making it a female. Supporters suggest that this would be hard to hoax, and that a hoaxer wouldn't take the time to do this. Skeptics say that the drawing in Patterson's book from a year earlier also show a creature with breasts. Critics actually argue that breasts show evidence against the authenticity because the fact that they are hair covered, saying that thsi doesn't exist in primates. Supporters point out that muscle movement can be seen in areas on the creature, including the shoulders, buttocks, and legs. It has been said that this would be very hard to hoax. Skeptics suggest that it is just padding showing through the costume. On one part of the film, there appears to be a bulge on the creature's leg. Supporters are calling this a hernia, which is an injury to the muscle. Experts say this could be caused from having a complaint gait, making this animal use different muscles than humans, and without medical care. Skeptics argue that it is just from blur on the film. Supporters of the film suggest that if it were a costume, stretch fabric would have to be used to show muscle movements and to make the creature's fur/hair look as skin tight as it does. The problem is that stretch fabric wasn't invented until the 1980s. Skeptics often argue that the costume was made with bear or horse hide, and that the creature is too far away to get any accurate detail. Experts that analyze the body proportions say that they do not match the body and limb length of humans, and that no human could possibly fit into a costume with those measurements. They also say that the proportions match closer with an ape than a human. Skeptics point out that shoulder pads and/or arm extensions could make the arms look longer. They also say that you can't get accurate measurements from the film alone. Along with the film, was also a track way of footprints. Some of the footprints were filmed as well as cast. These prints measure 14.5" long and experts suggest they are authentic. The depth of these prints also suggest that the creature was very heavy. The depth was compared to both their horse's tracks and well as Bob Gimlin's. Roger Patterson reportedly took a polygraph test that indicated he was not lying. But, as we all know, polygraphs are not always reliable and certainly not 100%. Bill Munns is a costume designer and has spent a lot of time studying the film. He argues that the creature is a real animal and in no way a costume. He has been featured on television shows Nat Geo's American Paranormal and History's MonsterQuest. In 2014, he released a book titled When Roger met Patty, that analyzes the film. Jeff Meldrum is a Professor of Anatomy and Anthropology at Idaho State University. He has stated that "It has been obvious to even the casual viewer that the film subject possesses arms that are disproportionately long for its stature." He rules out that it could be a man in a costume. M.K. Davis has analyzed the film in much depth. He runs a very in depth blog on the subject, as well as posting many videos on YouTube. John Chambers has been speculated to be the costume designer for the Patterson creature. Chambers was a makeup artist responsible for the movie The Planet of the Apes. People suspect him because he was responsible for ape suits in Hollywood, and because the movie was released only one year after the Patterson Film. John Chambers denied his involvement and said he didn't even know Roger Patterson. He died in 2001. In 2002, Phillip Morris, a costume maker, claimed he was responsible for making a gorilla costume for Roger Patterson. Morris has no evidence to his claim. Bob Heironimus claimed, in 2004, to be the man that wore the costume in the film. He claims that Roger Patterson offered him $1000 to wear the suit, but he never got paid. Since he wasn't paid he felt like he had no obligation to keep the secret any longer. Bob Heironimus has attempted and failed to recreate the creature in the film, but did pass a lie detector on television. There many skeptics for the films authenticity, with many claims to go with it. The first saying that it looks like a man in a costume. Another common claim is that Patterson made the film shaky on purpose so that it would be hard to see the creature. But, in reality, the most important part of the film is the steadiest. Skeptics also claim that parts of the costume can be seen in the film such as zippers, loops, seams, and pads showing through. Another claim is that the bottom of the feet are white, but this can be explained as it is the same color as the soil in the area.